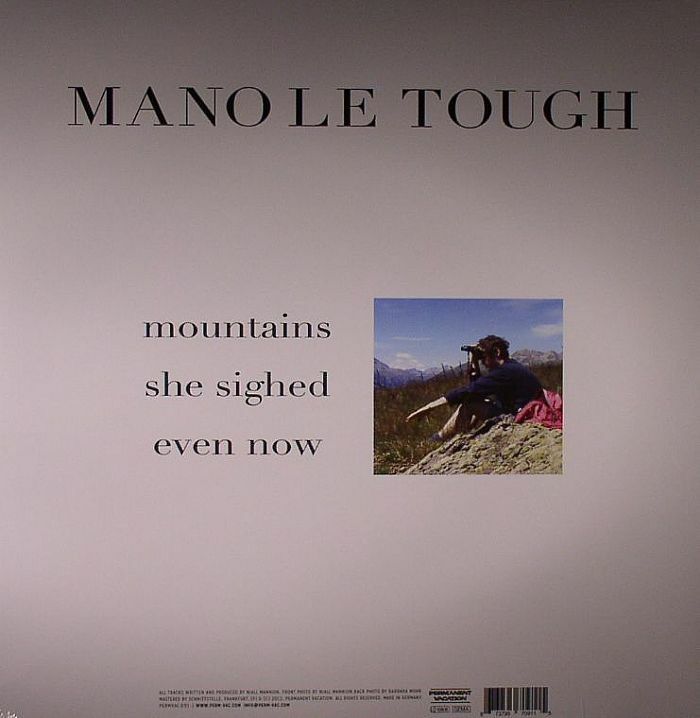 MANO LE TOUGH Mountains vinyl at Juno Records. Irishman Mano Le Tough is no stranger to the Permanent Vacation fold, having graced the label's recent If This Is House Zwei compilation as well as turning a remix of Midnight Magic. The artist/label relationship is further strengthened here with a full EP that acts as a neat soupcon to chew on until the main Mano Le Tough course arrives via his debut album - slated for transmission on Buzzin' Fly in the coming months. 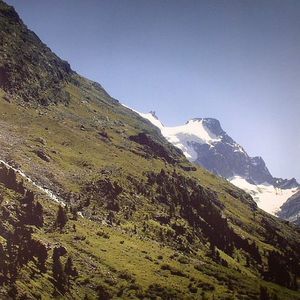 Arriving with the most literal artwork so far this year, Mountains is three tracks deep with the sort of sumptuous cooing house music Le Tough has trademark of late, with the title track a particular delight. From its fizzing beginnings, "Mountains" gradually unfurls into a floating dose of kaleidoscopic, psychedelic kraut house that wouldn't sound out of place on Kompakt. 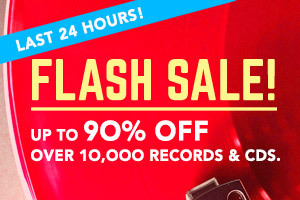 "She Said" deviates into what sounds like a traditional Irish folk ditty in the midst of its organic techno refrain, whilst the glistening patterns of sound and colour that permeate through the loose aqua house jam "Even Now" will please staunch fans of Permanent Vacation.